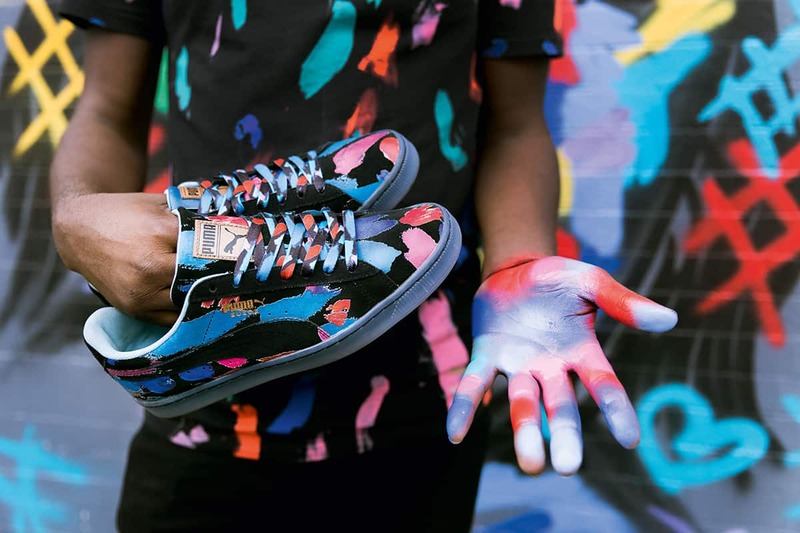 Puma has teamed up with renowned street artist Bradley Theodore known for painting vibrant skeletal renditions of pop culture icons like Muhammad Ali and Karl Lagerfeld on the streets of New York. 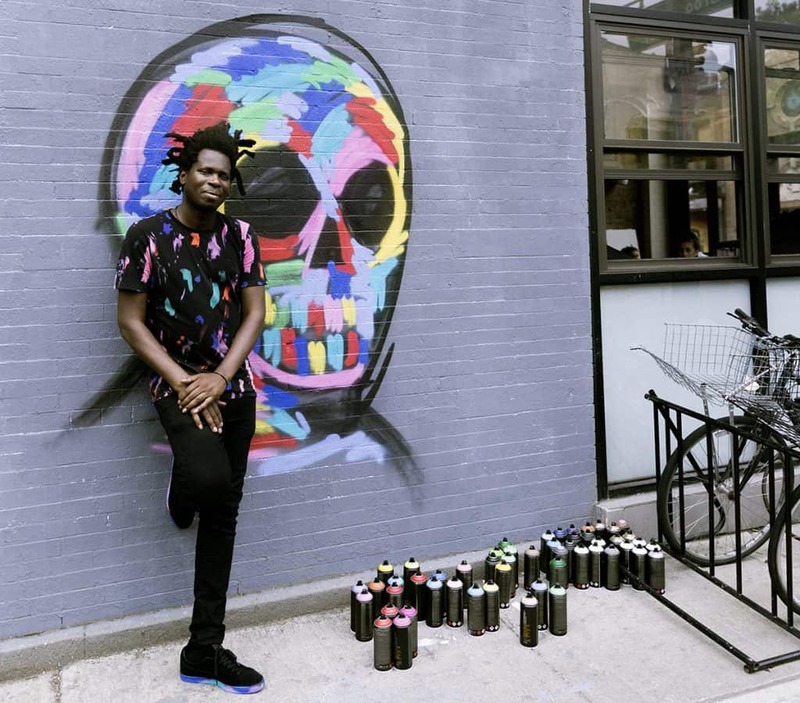 Theodore is known for making his art accessible to everyone and not confining his work exclusively to galleries. Bringing his soulful, introspective style to the Suede’s 50th anniversary, the Puma x BT collection features timeless strokes of color that put his art into perspective. With the Suede as his canvas, Theodore splashes its signature plush upper with hand-painted Pantone stains in vibrant blues, pinks, reds with black as contrast. Flowing like feelings, the rich artwork continues on to the laces and finally to the midsole that’s encased by a translucent outsole. Each shoe is finished off with a tiny, radiant skull on the heel and is signed off by the artist in gold on the lateral side. Completing the capsule pack is a black T7 Track Jacket featuring bright Pantone hues in a brush-style application, Theodore’s signature skull embroidered on the chest and his signature at the back and is paired with a matching tee. 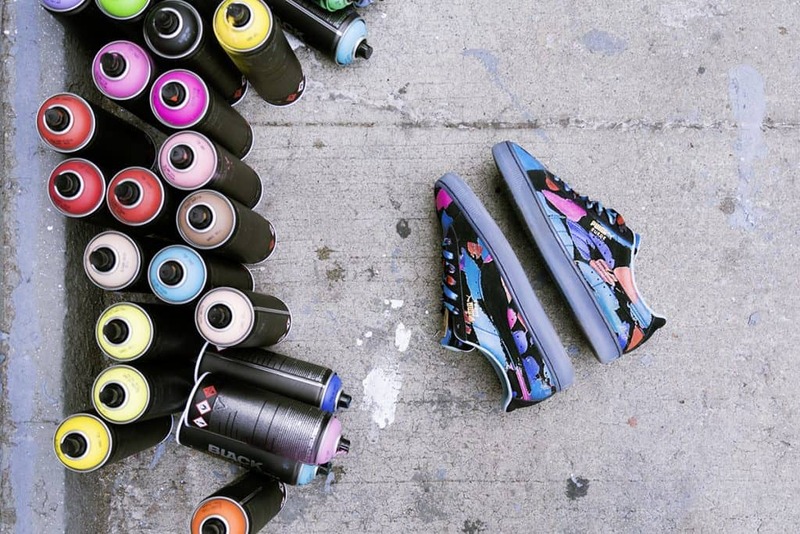 Get the Suede 50: Puma x BT collection on puma.com and leading retailers September 8th.